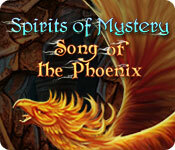 Spirits of Mystery: Song of the Phoenix is rated 4.7 out of 5 by 129. Rated 5 out of 5 by Cayla_Lily from Great Game I Love this game. My daughter loves to watch it and my little brother and sister love to play it. Rated 5 out of 5 by un1cornr0se from Favourite game yet! This would go down as one of my favourite games yet!! I played it on advanced and found it had enough challenge to keep me interested. The story was good, the graphics were great, the music was also good. I loved the originality that was required in solving the puzzles, there was some lateral thinking required, but the best part was it all made sense! I did feel the ending was a little abrupt, whilst it finished well, it would have done better to have an extended cut scene to finish it off. I would happily play this one again! Rated 5 out of 5 by HCC_314 from Still enjoyable after two years I've been replaying older games, stashing most in a "Never Again" folder. Those games have never-fixed technical glitches, OR they are heavy on HO scenes, and short on puzzles. I'm too irritated by that combination to appreciate music, storyline, or graphics. Song of the Phoenix will be one that I play and replay. 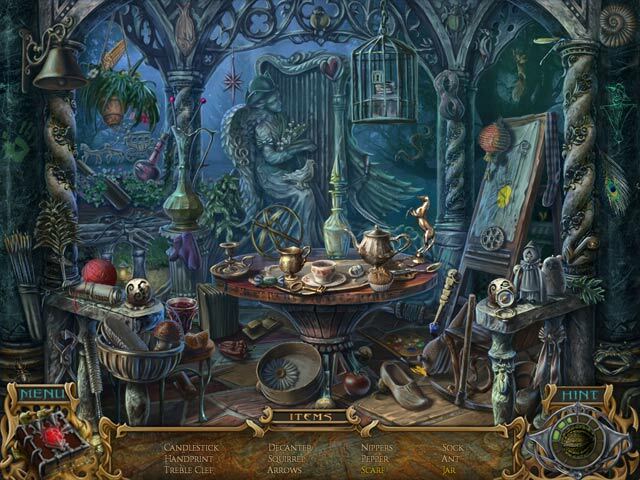 There are more puzzles than hidden object scenes, and many of the latter are find-the-object-and-use-it to keep finding more objects. The puppet show one was cute! Very few dark objects in a shadow, and only one or two scenes that I had to repeat. Didn't once find myself yearning for an alternative to the HO, like Mahjong. The puzzles are markedly different than the run of the mill today. (E.G.no stretchy ropes/knots to untangle). They range from easy to fairly challenging. The logic and directions were clear in almost every case, which is also not SOP. Things were missing that had to be located, but this wasn't so complex that I felt I had to take notes about what was still needed in each scene. The graphic art was fine, though not photorealistic. I don't require that in a fairy tale. The sparse animation was ok..at least the lip movement matched the words. No pointless cut-scenes that add little to the story. Riveting storyline? Nope, but I haven't seen one of those for awhile. As I noted: it's a fairy tale. The ick/gore factor is quite low, as is the overall menace. Fine with me; some of the final battles in newer games have left me tachycardic. The music was repetitive, but pleasant enough for the fairly long playing time. An interactive map? I've gotten used to those, but you really didn't need one. You don't trot from the last scenes to the first ones. Once the Hint Button has told you 2-3 times that there isn't anything to do here, you get it: you're done with this area. Best of all, there was not one single technical glitch. I've been stopped dead in my tracks twice in two months by poorly developed/designed games. The game ran flawlessly and quickly on my elderly PC with its recently downgraded graphics card. 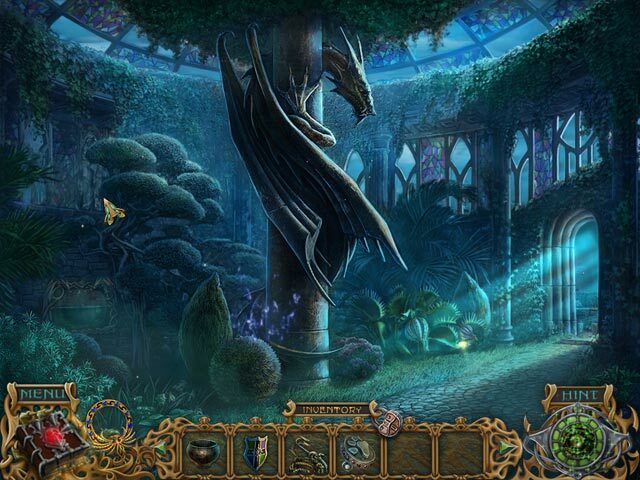 Rated 5 out of 5 by Cinnamon8214 from Fun Hidden Object Game I loved it, will play it again. 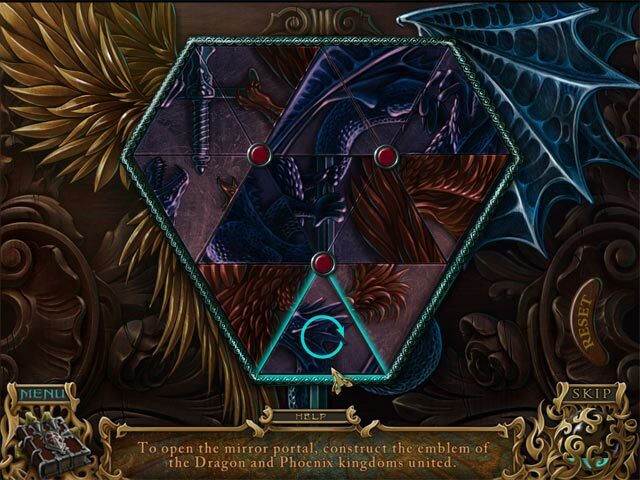 Rated 5 out of 5 by DelennDax7 from A True Puzzle Adventure This was a fantastic game! I love the "old-timey" Point & Click Adventures. This is definitely NOT a HOG..yes there are a few scenes like this but it doesn't have a HOG feel to it at all. Now, while I loved this game & consider it to be more of a Traditional Adventure Game, it wasn't one of the truly great kinds....the BEST kind have more story than puzzles..this had more puzzles than story. So, it's no Myst or Syberia or Beyond Atlantis..but the strong variety of puzzles is excellent. And there was a large variety of scenes..the art was really well done. The music was not annoying at all. The voice acting was fine. All the intricate puzzles-you have the option to skip..there was such a variety that I didn't feel guilty about skipping a few. The Diary helps you keep up with your progress & all the notes you need are in the Diary. The story itself was so-so..choose this game if you like doing puzzles & exploring different beautiful scenes. Rated 5 out of 5 by crisgori from Good game Nice graphics, even though a bit blurry, well done HOS, interesting but easy puzzles, length and a good amount of backtracking. The only complaint are the sparkles for the HOS even in advanced and expert mode. Rated 5 out of 5 by klfrr from Beautiful I played the standard edition. Beautiful, fun game, with just the right amount of challenge. Story ending was a bit lame. Rated 5 out of 5 by terricT from Creative game Not your typical hidden object game. There is so much creativity on display in the puzzles. All the puzzles are entertaining, and nothing seems like a chore. I would definitely buy the next game in the series.